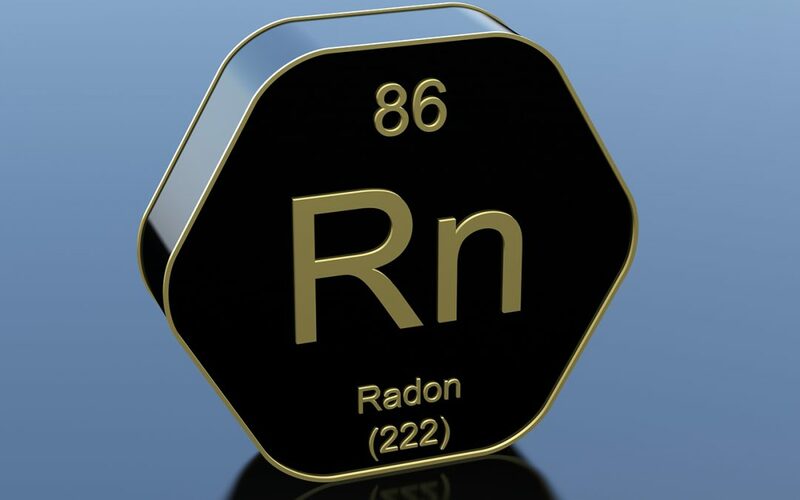 Radon exists in nature as a colorless and odorless radioactive gas. While it might be found in nature, it is still harmful at certain levels indoors. When you inhale radon it can increase the chances of getting lung cancer. Many people have unsafe radon levels in their own homes and don’t know that it is there. It doesn’t matter if you have a newly built home or a home that was built 100 years ago, elevated radon levels can be found in old and new homes. No matter what area of the country you live in, you should test for radon in the home. We know that radon comes from the earth but how is it formed? When uranium is present in soil, rocks, or water, it breaks down and forms radon over time. Radon is released into the surrounding earth. When you have cracks or gaps in your foundation or walls, this can allow radon gas into your home. Fireplaces and plumbing pipes are other areas that can let radon seep in. Luckily, professional radon testing can provide an accurate reading of the radon levels in your home, and this information will allow you to make changes that will keep your household safer and healthier. A positive radon test that reveals unsafe levels doesn’t mean that you will have to leave your home. Radon is only harmful to people’s health when they are exposed to it indoors, in a confined space. There isn’t enough ongoing fresh airflow to allow the radon to escape. Professional radon testing is known to be much more accurate than a cheap DIY test from the hardware store. Choose an inspector who meets EPA requirements. It is estimated that as many as one in 15 homes in the U.S. have radon in the home. Every home should be tested for radon when performing a buyer’s home inspection. If the results are negative then you can rest assured knowing that your home is safe. If the results are positive then you can move forward to have the radon gas expelled from your home. There are a variety of different mitigation units that can be installed into your home that will help release the radon into the outside air before it accumulates to dangerous levels inside. Assure Home Inspection offers home and commercial property inspections and radon testing and mitigation in Chicagoland and Chicago’s South and West suburbs. Contact us to schedule an inspection and radon testing services.